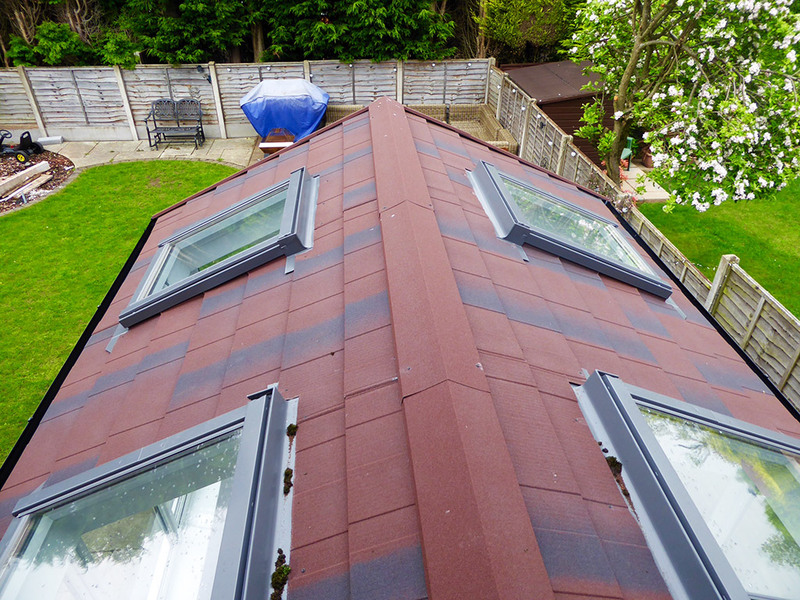 New conservatory roof conversion featuring gable fronted roof with Metrotile Shingle and four opening roof vents. 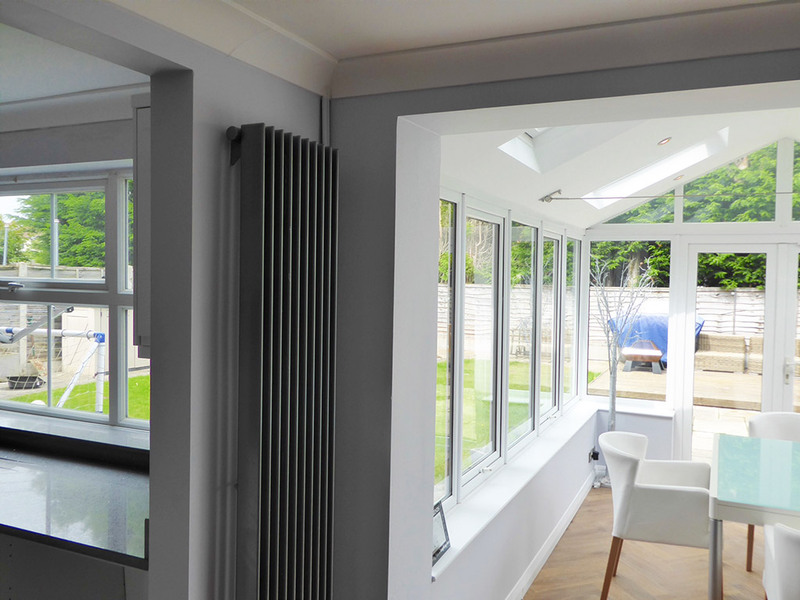 The inner doors connecting through to the main house were removed to create a huge internal space. 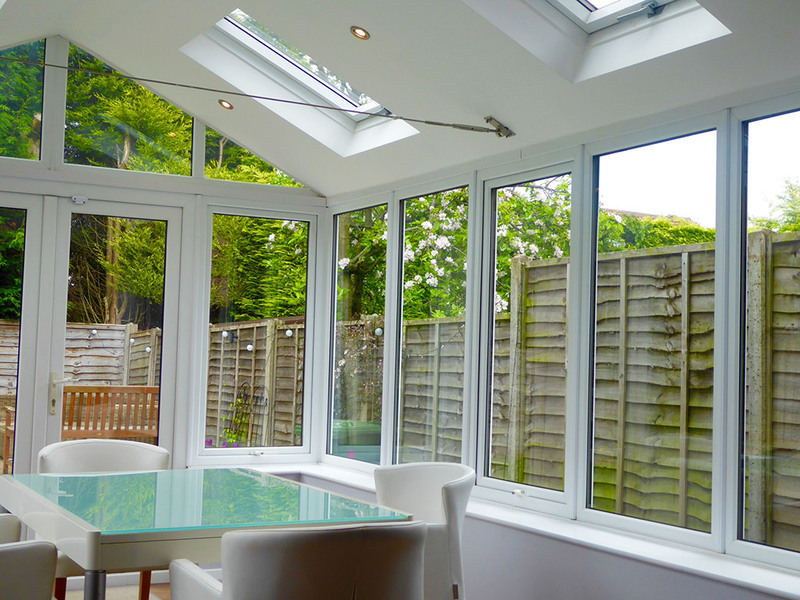 Transform your conservatory into a fully functional room for the whole family to enjoy all year round. 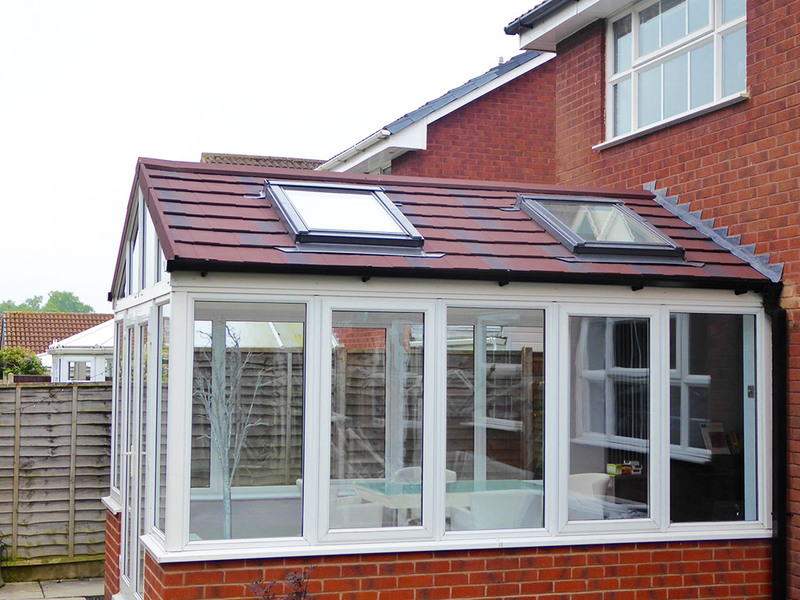 Replace your old polycarbonate conservatory roof with a brand new Metrotile tiled roof from Ensign. Conservatory roof conversions Solihull. Installation completed for Mrs Bird, Monkspath, Solihull. Click Here for our Latest Offers and Discounts - We'll Beat Any Like for Like Quotation! Ensign Conservatory Roof Solutions accept VISA and Mastercard for payments. 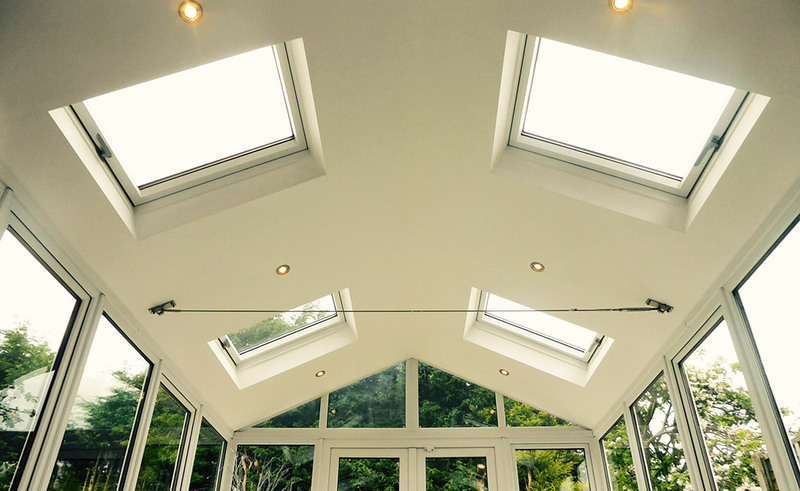 To request a FREE quotation, call back or more information on our conservatory roof solutions please use our handy online enquiry form. We try to respond to all online enquiries within 24 hours. 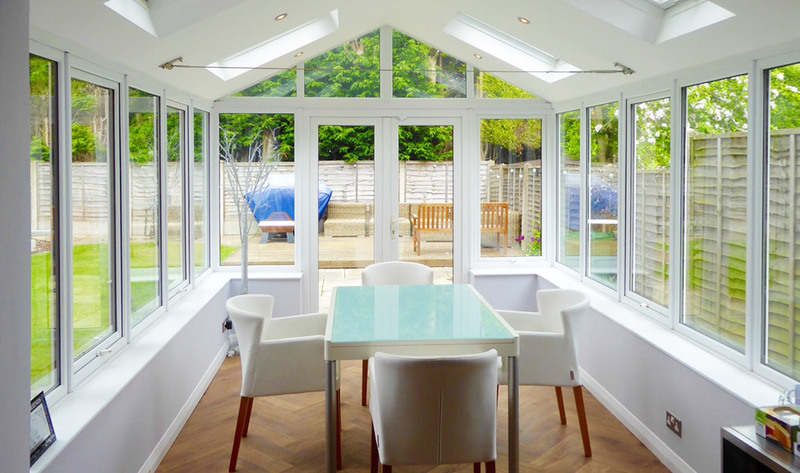 Ensign Conservatory Roof Solutions LTD is an Introducer Appointed Representative and provides a pure client Introduction through Improveasy Ltd., a company registered in England and Wales (Co. Reg. number 7807352). Registered Office: Manchester Business Park, 3000 Aviator Way, Manchester M22 5TG. The firm is authorised and regulated by the Financial Conduct Authority (FRN 708623) as a Broker, not a Lender and offers credit facilities from a panel of lenders. The credit is subject to application and status.